Herbs work harder than your ordinary houseplants. Not content at just being decorative, they bring fragrance to the room and flavor to the food. As a bonus, they often repel insects. 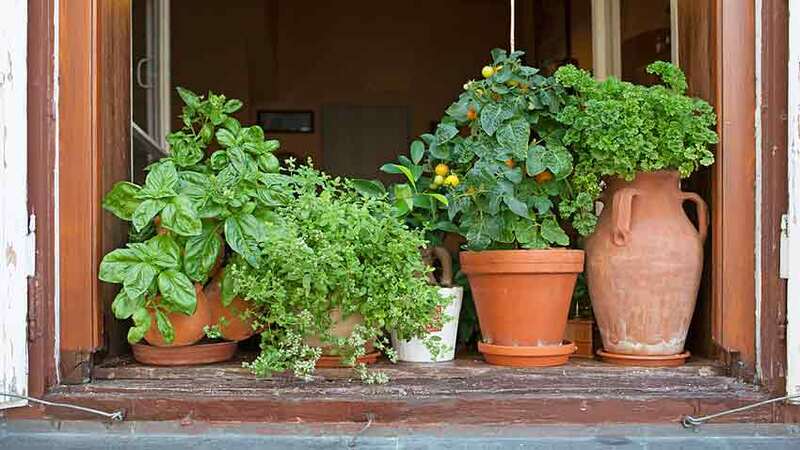 There are plenty reasons for growing herbs inside. That is still a good rule of thumb with indoor kitchen herb gardening, but there is one other thing to think of – when growing herbs for the winter kitchen garden, make sure you have enough. The simplest and most effective plant table is a rolling wire rack. The wheels allow it to move where it’s needed or convenient. You can find them at the big box hardware stores or kitchen and bath stores. The good ones cost a small amount more up front but will last for a decade or more. They usually include 5 shelves and are adjustable. Use only the number of shelves you’ll need – we usually only use 3, one at the bottom, the plant container shelf and the top shelf where we suspend the lights from. Light – Most herbs thrive on full sun and need 6 – 8 hours of sun a day when grown indoors. This can be from a sunny, south-facing room or from fluorescent lights above the containers on a plant table. It can also be a combination of both – sun in the morning and early afternoon with fluorescent light the rest of the day. Fluorescent fixtures are inexpensive – shop lights will work fine – just make sure to use bulbs specified for greenhouse or growing use. They have a full spectrum light that helps your indoor plants grow better than normal “cool white” bulbs. 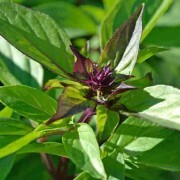 Temperature – Almost all the herbs listed do well in temperatures that we are comfortable in – the 60-70°F range. If you keep your home warmer during the winter, consider moving them to a cooler room and watch the soil moisture levels closely to avoid over-drying. Most herbs like a cooler night and slightly warmer day. Air circulation – Herbs grown inside need some air circulation to keep stagnant air from encouraging molds and fungal diseases. A small fan on the lowest setting set several feet away will keep a gentle airflow going and your plants healthy. Watch the leaves of your plants for signs the air is too dry – drying at the edges, curling or cracking. Place a tray with a layer of pebbles under the catch basins of the pots and add water to increase the humidity. Keep the water level below the catch basins to avoid waterlogged roots. Soil – A bagged, complete potting soil such as the Square Foot Gardening soil from Garden Time works well. It is basically a complete soil with added nutrients to support the plant’s growth. It is inexpensive and one bag will be more than enough for several large planters. Fertilizer – Growing inside in containers means you will need to feed the plant a bit more often than in your outside garden. Inside herbs need enough fertilizer to keep growing, but not too much where they become leggy and gangly and start losing flavor. Once or twice a month feedings of dilute seaweed or fish emulsion at half-strength should do well. Water – Indoor herbs are almost universally intolerant of waterlogged roots and damp, wet soils. In general, water less often than you think you need to but more thoroughly. Water when the soil feels dry to the touch and water until it comes out the bottom of the pot – that’s what the catch basin is for! If water doesn’t come out, make sure the drain holes in the bottom of the pot aren’t clogged. If they are, open them up with a small stick. If the roots have over-grown the drain holes, it’s time to divide the plant root and repot. 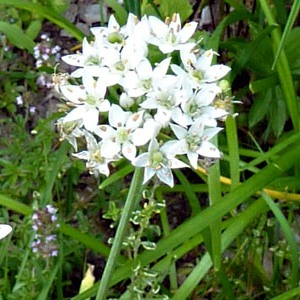 Garlic chives – (Allium tuberosum) Perennial, grows to about 2 feet tall. Needs about 8 hours of full sun or bright light to keep from yellowing and well-drained soil. Water when the soil surface begins to dry and give plants room for good air circulation. Prefers daytime temperatures in the 70s and 60s at night, but will tolerate lows to the mid-40s. 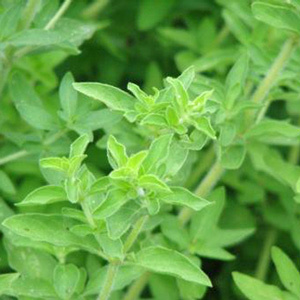 Oregano – (Origanum vulgare) Perennial, grows to about 1 ½ feet tall. Prefers full sun or 6 – 8 hours of light per day and nutrient rich, well-drained soil. Water completely once the soil surface is dry to the touch. 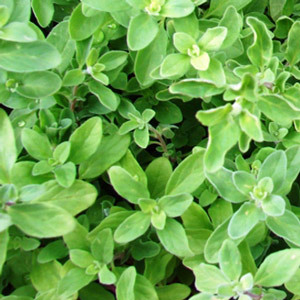 Marjoram – (Origanum majorana) Perennial, grows to about a foot tall. Prefers full sun and well-drained soil. Water when the soil surface begins to dry, will tolerate a slightly drier soil than most other herbs. Prefers daytime temperatures in the 70s and 60s at night, but will continue growing down to high 40s. 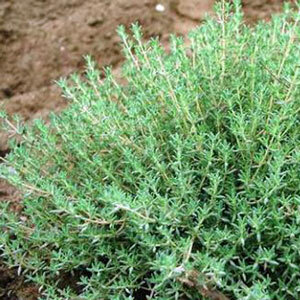 Thyme – (Thymus fragrantissimus) Hardy perennial, grows to about 4 inches tall and a foot across. Will tolerate indirect light, but prefers about six hours of light a day. Needs daytime temperatures in the 70s and 60s at night. Water completely each time but allow the soil surface to begin to dry before watering again. 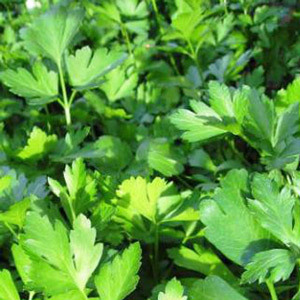 Parsley – (Petroselinum crispum) Biennial, grows to about 1 ½ feet tall. Prefers full sun or 6 – 8 hours of light per day but will tolerate part sun or indirect light. Prefers daytime temperatures in the 60s and 50s at night, but will continue growing down to low 40s. 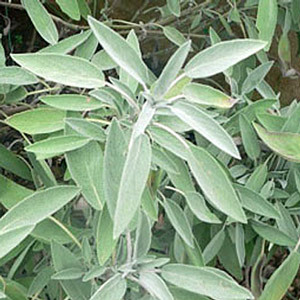 Sage – (Salvia officinalis) Perennial, grows to about 2 ½ feet tall. 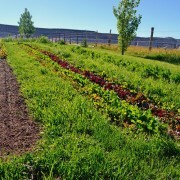 Prefers full sun or at least 8 hours of light a day and nutrient rich, well-drained soil. Prefers daytime temperatures in the 70s and 60s at night, but will continue growing down to low 40s. Water completely each time but allow the soil surface to begin to dry before watering again. 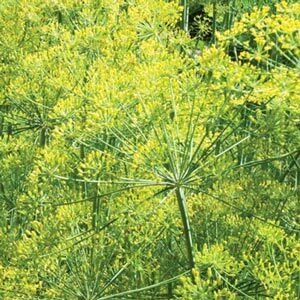 Dill – (Anethum graveolens) Annual, can grow to 2 feet tall. Prefers full sun or 6 – 8 hours of light per day and nutrient rich, well-drained soil. Dill grows a long tap root and needs at least 12 inches of soil to thrive in. A one to two-foot-deep pot works well. 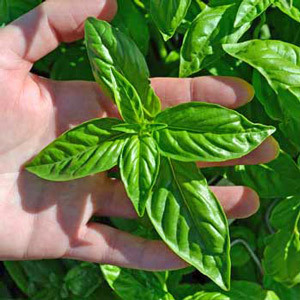 Basil – (Ocimum basilicum) Annual, grows to about 2 feet tall. 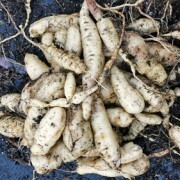 Prefers full sun or at least 8 hours of light and nutrient rich, well-drained soil. Does not tolerate water stress, so make sure pots have good drainage. Soil should be somewhat moist but never soggy. You should be able to feel the soil moisture when touching with a fingertip, but it shouldn’t be wet. Prefers daytime temperatures in the 70s and 60s at night, but will suffer below 50°F. Basil likes light, just like when grown outside in full sun. 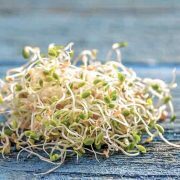 One resource to help you further are Starting Seeds at Home, showing what a seed needs for germination and what happens to the seed during sprouting. For more information on what potting soil might be best for you, read Potting Soils – the Good, the Bad & the Ugly. Did you enjoy this article? 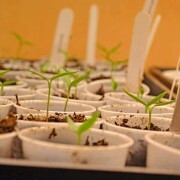 Did it help inspire you to start your indoor herb garden? Or maybe you know someone who could use this information? Please share with your gardening and cooking friends! Could you please discuss humidity, and how to effectively increase it? 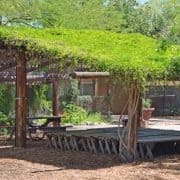 We live in a very dry climate, and we heat with wood, although I have most of my plants in our attached greenhouse. In the greenhouse, I have plant stands, with those trays that are about 2″ deep. I use capillary matting, and what I’ve seen called egg crate to raise the pots up, and to provide a steady supply of water, although I don’t use the matting under plants that need to dry out. But all that still does not provide much humidity. I recently got an evaporative cooler, which does add some humidity. At any rate, I’m thinking of growing some plants in a terrarium, aka old 10-gallon aquarium. Margaret, you might try a kettle of water on the woodstove in the winter – it will add some good humidity to your home. A shallow tray of water in the greenhouse when it is sunny and warm in there will boost the humidity as well. You are looking for surface area with the greenhouse tray. In our free-standing greenhouse, we would spray water on the gravel flooring in the morning that would evaporate and raise the humidity. Most herbs and vegetables will grow quite well in humidity levels of 20% or more, so supplemental water for evaporation can really help.